How Can You Tell if Your Beans are FRESH ? I’m not sure about you, but sometimes when you go to a cafe or speciality coffee shop to buy coffee, when you ask, “Are your coffee beans fresh ?”, you will always get an answer of “Yes ! of course”. However, as most of us are not expert coffee sniffers – those who can see or smell a handful of coffee beans and know instantly whether it is fresh, not to mention that in most places, the beans are already packed neatly in a bag, so there’s no way for you to even see or smell the beans, then you just have to trust the retailer until you get home – and this is where I can share some advice with you. As a first test, look at the pictures below – can you guess which ones are fresh and which ones are not ? OK ! the colour in these pictures may give you a clue, but to save you from agony, the prominent beans in the first picture are actually very old – like over a year – ideal for taking pictures but not to drink. The prominent beans in the second picture are fresher. 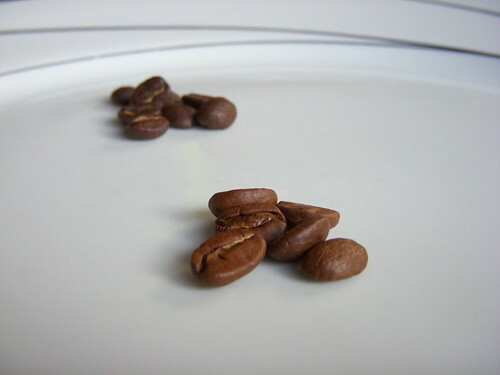 However, in some cases this might not be the best way to judge the freshness of your bean, because as you know by now (I am assuming you have been reading my website and blog) – some coffee beans are roasted darker than others. OK ! for the next test. From what I’ve read, as soon as you freshly grind your coffee beans and prepare it in the manner that you prefer, you will see some obvious signs of freshness. 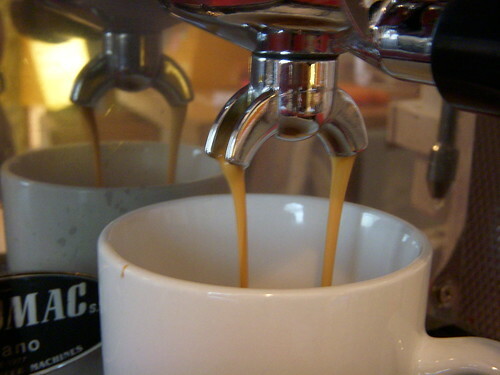 For espresso, it can be quite obvious – fresh coffee beans, just roasted and prepared properly and extracted will show coffee coming out like it is full of crema, like the picture below. So if you watch your espresso being prepared, it should not fall into your cup looking like dark coffee, but like crema/light brown. It obviously changes when it hits the cup and mixes with the air. There’s a lot of science to do with this, but as I’ve been through the agony of reading literally tons of pages on this, I will just simplfy it for you “fresh coffee should come out like crema when extracting for espresso”. For other types of coffee, like cafetiere, when you pour it into the beaker and stir, there should be a bubbly dark cloud on top – I promise to get a picture of this for you but my camera is currently broken, so for next time God willing ! For some very aromatic coffees like the Indian Malabar Moonsooned or Central American coffees, you will obviously be able to judge by the wonderful aroma too. In any case, if you get home and don’t see these signs not just for the first time, but over the course of the week of drinking that particular coffee, then chances are the coffee isn’t very fresh at all. Good luck ! 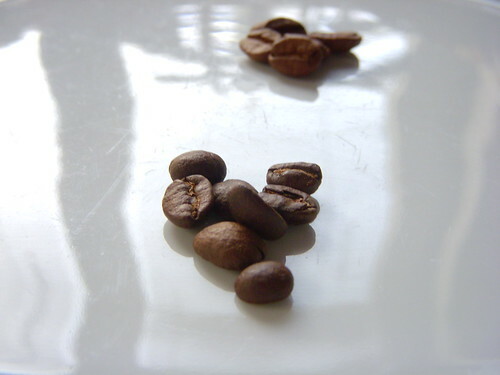 This entry was posted on Friday, March 7th, 2008 at 1:09 pm	and posted in Bean Talk - Coffees. You can follow any responses to this entry through the RSS 2.0 feed.